With so much information out there, how do you even know where to start? Here is a list of resources (and why) I recommend using in preparation for your upcoming exam. Start with the the ‘How to use your MCAT resources‘ chapter in my new guide. Why? Because they write your exam! This means the AAMC resources will be closest to the real thing and ultimately your BEST source of practice. The Complete Official AAMC MCAT Bundle – Get all of the AAMC practice resources listed below at a bulk discount. AAMC Official Practice Tests – 3 SCORED Unlike the sample test, these exams give you a score out of 528 just like the real MCAT. I recommend taking these in the final 4/3/2 weeks before your real exam at 8am each. I recommend RETAKING these exams in the final month even if you’ve taken them once before. AAMC Section Bank feedback from students who’ve tested in 2017 suggest that THESE PASSAGES are closest to the real thing. Yes, even closer than the official practice tests. This new section bank consists of 300 all-new questions with an emphasis on the NEW topics not covered in the bundles below. Biochemistry, psychology, and sociology. At $45 this is a MUST according to students who tested in 2017. AAMC exams are best but with only 4 to-date (see above) you’ll need a third party exam for additional practice. In chatting with students who’ve taken the new MCAT, they say Next-Step is the closest to the real thing and thus the best source of preparation. I reached out to Next Step and got you a 10% discount on their exams when you purchase through the links below. Altius is in second place followed by ExamKrackers full lengths (no discount/affiliations). Books are KEY for review/skimming and practice questions. Note on old books: If you have books written for the old (pre-2015) MCAT that’s okay for Physics, Chemistry, Biology and Orgo ONLY. You’ll still require new books for CARS (verbal), Biochemistry, Psychology and Sociology. You’ll also want to acquire books to practice ‘new exam’ style passages. With no company fully able to cover all of MCAT psychology and sociology, my students have taken to studying from AP and GRE books. As more and more students try these my feedback will get stronger on which books to use. Combine your Newspaper Strategy with difficult readings to improve your CARS & science skill. My students recommend AEON.com especially for example philosophy to get used to ‘boring’ articles. 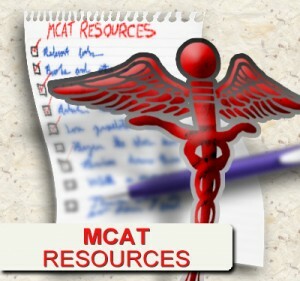 Taking an MCAT prep course is recommended if you need the formal structure and guidance. However, the big-name courses tend to be ‘generic’ and leave it up to YOU to make the best of it. Their CEO doesn’t know about you nor care about your outcome. My program is the EXACT OPPOSITE as I personally work with you every step of the way. 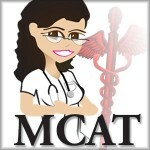 MCAT Study Hall – my personal MCAT program where I guide you through every step of your exam prep. How much time do you REALLY need for MCAT Prep? What do you recommend for an in depth bio review? It’s been 5+ years since I’ve taken bio, and I would like a very thorough review of this content. I have the Kaplan books but am wondering if the material will be detailed enough. I plan on taking the MCAT either at the EOY or in January next year. I’d really appreciate your insight into this. Hi Leah – thanks for all of the great resources! 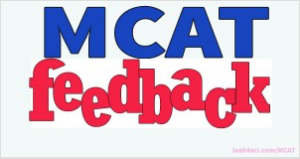 Quick question – when the AAMC says “un-scored” exam we will still receive feedback on the percentage and questions we got right/wrong we just won’t get a scaled MCAT score (ie. 512), correct? Hi Leah! I’ve just started studying for the MCAT using the Kaplan 7 books. I’ve also purchased the AAMC bundle for more tests and practice material. But now after reading your list of recommended resources, I’m worried that I will not have enough quality practice questions. Is there another way I can just get good practice question that are not full length exams and without purchasing the entire Examkrackers package? Hi, I need to do more CARS passage for daily practice and am unsure what source to use for this. I been given recommendations to purchase the Next step 108 passages or EK 101 passages. Any ideas? Thank you Danielle, the link has been updated! I own the 2015 Kaplan set (and have an ebook of the Examkrackers 2015 set). It’s been a few years since I have taken some of my pre-reqs (mainly intro bio, gen chem, orgo) and I have more recently taken physics and biochem — currently taking 2 gap yrs. Because I need to brush up on a lot of the Sciences, would it be best to go with Kaplan instead of Examkrackers? I’ve heard great things about Examkrackers but I know they’re very concise and not as detailed, so I’m afraid I’ll be doing myself a disservice going w/ them. Your advice is very much appreciated! Brenda: I recommend Next Step. They resemble the real exam in more than just format and grading. My students who’ve tested say their passages and length are comparable to the real thing making it a great source for preparing FOR the real thing. Hey Leah, thanks for your detailed post! I was wondering, what is it about the NextStep exams that made you rank them above ExamKrackers? My ranking comes from the feedback I get from my students after they take the exam, and what they tell me worked for them. A lot of them like NextStep better because the format is closer to the real exam and their passages are slightly more realistic. ExamKrackers is a very close second best with their biggest downfall being that they don’t give you a numerical score. They only give a percentages. And when you are taking exams because you want to know how you did, you don’t want percentages. You actually want to see your score. So given that NextStep is slightly better and they have scores makes it a much stronger and better exam for you overall. How do you recommend studying for an MCAT exam 4 weeks away? I have taken a multiple Kaplan FL and I keep getting around 498 on them. Thank you! hi leah! just curious – how long will your promo w/next step be up until? I know I study best from a Kindle or tablet-type device (ironically they didn’t exist when I started college but I somehow transitioned from studying with text books/DVD’s to tablet/Kindle/Youtube – thank you for making your content available online btway! I do use your Youtube vids and hope to join the Orgo Chem Study Hall this fall.) … are there any MCAT 2015 study guides you would recommend for Kindle/generic tablet users or is Next Step (or Examkrackers) in print the way(s) to go?? (I don’t use social media since it disrupts my study time, I do have a LinkedIn account I established late last month, but I logged out of it this month. I am saying all of this because even though I study best on an electronic device I find “personal” online media forums distracting – SnapChat, Ig, FaceTime, etc. – while studying for something so important, as, I don’t know, the MCAT!) Thank you for your advice Leah!! How long should you take to review a FL? If I’m scoring 500 then I feel like there are a lot of areas to improve on, which seems overwhelming. Any advice on how to focus areas? I’m 4 weeks away from my test, scoring at about 498 with Kaplan. I’ve been trying to take a practice test a week (I’ve taken about 7) I’m feeling kind of burnt out and am not really sure what to do. I like their strategy books for CARS, psych/soc. Sciences are ok but am not a fan of their biochem book and recommend Kaplan instead. I’ve only compared Kaplan, Princeton and Next-Step biochem in making this statement. i have recently looked at EK and Berkley Review books for content and strategy, if so which would you prefer out of 5 companies? thank you, leah. NextStep is what my students most often recommend! But EK and Berkley are good too! i can’t find the linked 8 princeton review practice tests!! i was able to find them a week ago, do you know if they got removed? You should wait to take the AAMC practice test till the 4 days before, not before you start studying. Why would you take the same exam twice? The score will just be inflated cause you’ve seen everything before. I love your organisation of the materials. I appreciate your effort. I am planning to take my MCAT on summer. I shall be needing your resources during that time. Thank you Pasang. Have you taken the sample AAMC exam yet?